Musa acuminata is a species of herbaceous plant from Southeast Asia. 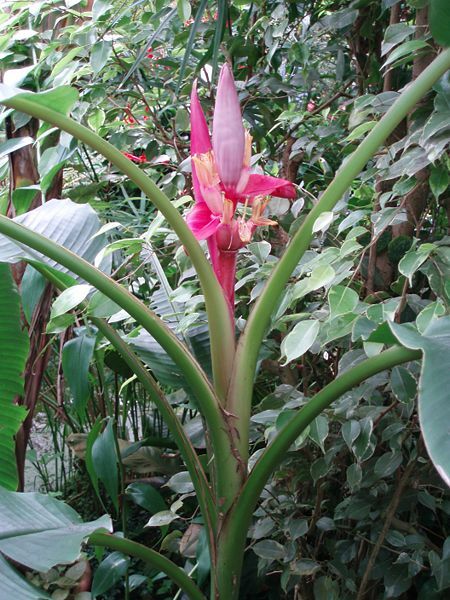 Actually it is a very remarkable herbaceous plant because (along with certain other members of the Musa genus), it is the largest herbaceous plant living today. They are so large that some people call them trees—although they are not properly trees. The plant’s aspect is disturbing—almost like something out of a horror movie. A giant pseudostem sprouts rapidly from a fleshy underground corm embedded within the jungle earth. This pseudostem is a towering appendage made up of layer after layer of horny leaf sheaths. Giant leafs grow out from the top of it—some of them as long as a man. At the very top of the pseudostem sits the elaborate reproductive apparatus of the plant, a grotesque inflorescence made up of alternating rows of flowers and petal-like bracts. The strange mass droops down from the tree and a wizened inferior ovary dangles at the bottom. As the female flowers are fertilized they form a hanging cluster of distinctive fingerlike fruits. These bulbous “fingers” are grouped in tiers and they angle upward giving the whole stem an alien look. The fruit of Musa acuminata is radioactive because it contains a large amount of potassium (including potassium-40). Botanists have described the fruit as “leathery berries” (although, to my eye, the elongated fruits suggest something other than berries). 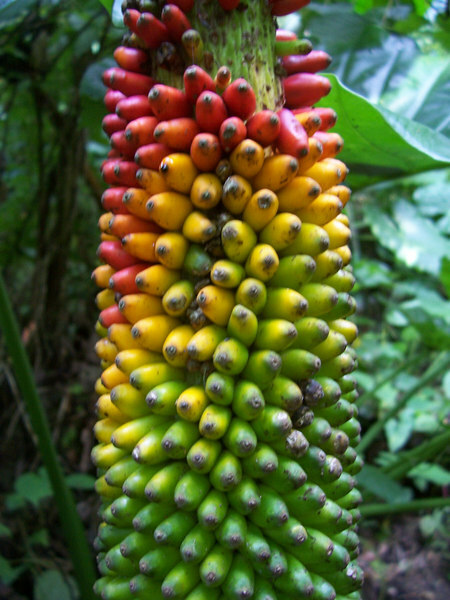 Although the fruits have a stiff waxy covering and contain a great deal of potassium, they are sweet–so jungle animals carry the pods around, eat them, and distribute the seeds (although the plant also produces asexually by suckering off clonal buds). Some animals are especially drawn to the fruits and scientists speculate about whether Musa acuminate evolved symbiotically with the primates of Southeast Asia. In fact 10,000 years ago an invasive species of African primate which had somehow made it to Papua began to select varieties of Musa acuminate trees which suited their taste while destroying (or at least not propagating) the other varieties. Soon the fruit began to change into something which fit the primates’ hands and suited the beings’ color palate. Musa acuminata was hybridized with other Musa species (particularly Musa balbisiana) in order to create different varieties of fruits. 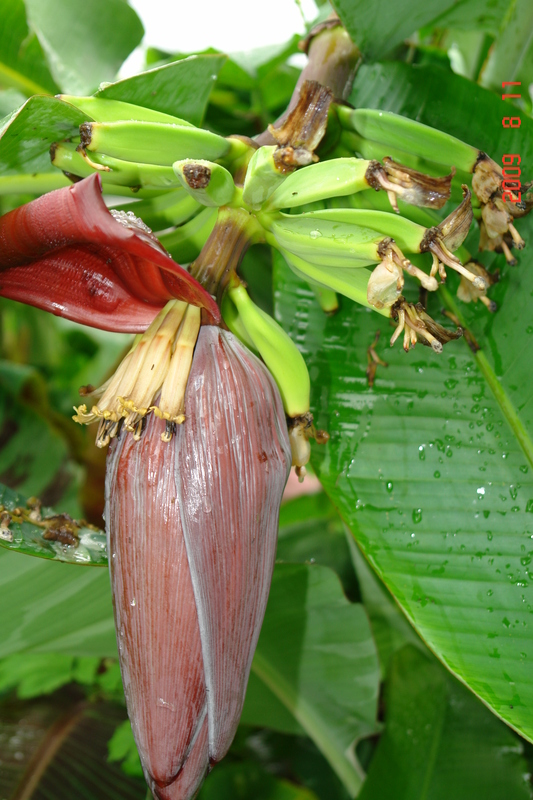 Parthenocarpic varieties of bananas were discovered and the virgin plants were carefully nurtured and cloned. Ten thousand years of selective breeding has produced a big yellow glowing seedless fruit, far different from the little stunted green fruit. Archaeologists believe that the banana might have been the first domesticated fruit (the only other contender is the ancient fig—which did, in fact, evolve alongside African primates). Today they live throughout the tropics and subtropics. 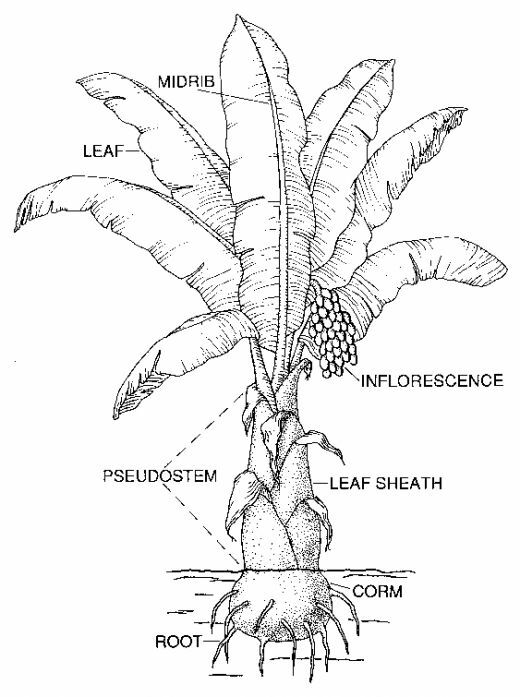 Banana plants are additionally used to make fiber and as ornamental plants, but their importance as a foodstuff for humankind is difficult to overstate. 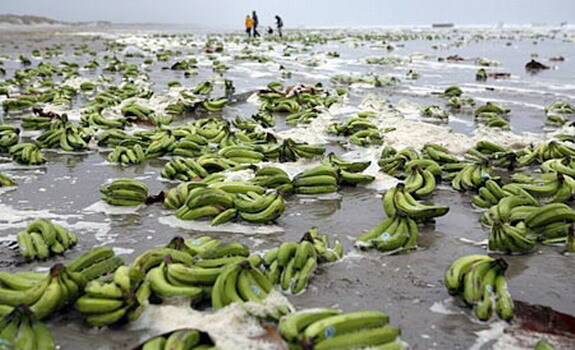 Not only are the yellow “Cavendish” fruits eaten in immense quantities, but starchy plantains are consumed with savory meals, and banana wine is the dominant spirit of large swaths of Africa. 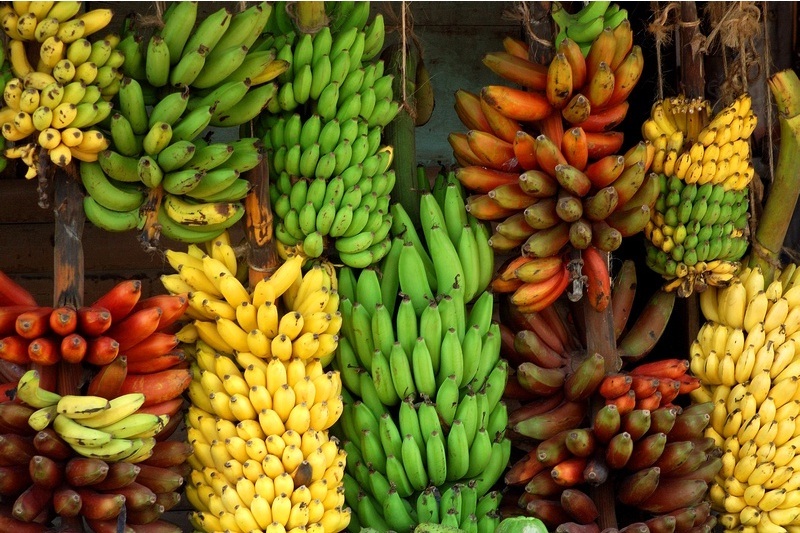 Bananas are the most popular fruit in the world and our fourth most abundant crop overall. Can you maybe tell me the literature where you took the informations from? I’m an university student writing an essay about bananas. The Requirement for banana plants hight quality tree purchasing. The company’s business regarding works.